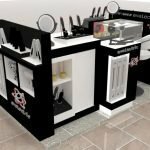 Today share very hot and new business ideas in mall: Hair build kiosk. Have you ever consider such a unique business idea? 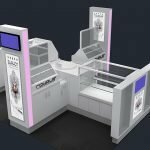 You may have seen many hair cutting kiosks, hair straightener kiosk or barber shop in mall, But with this new technology, you can start a very unique hair builder kiosk. With the growth of relying and indulge on digital, More and more young people becoming to alopecia. some even in a serious situation. So, such a hair building kiosk is emerged to solve this problem. With natural products of fibers, you can make your hair full at a short time. Just a few minutes you will back to handsome and beautiful again. 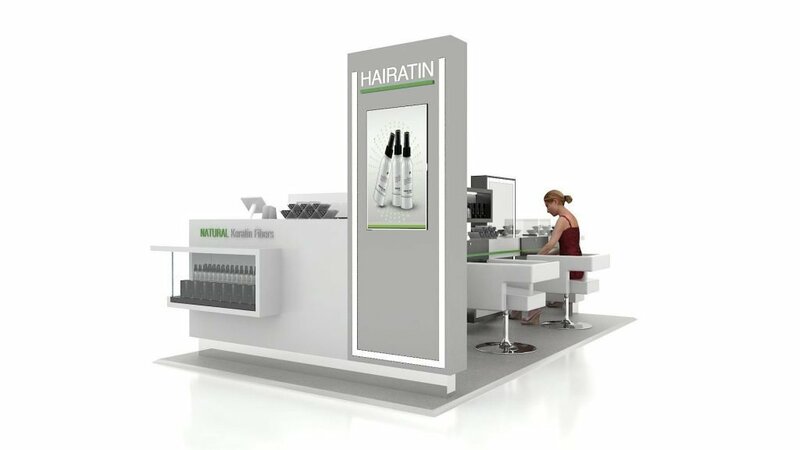 Hair building kiosk is very similar like a hair extension kiosk, you need to have some display showcase to display products. and need a work station for serving and test products. 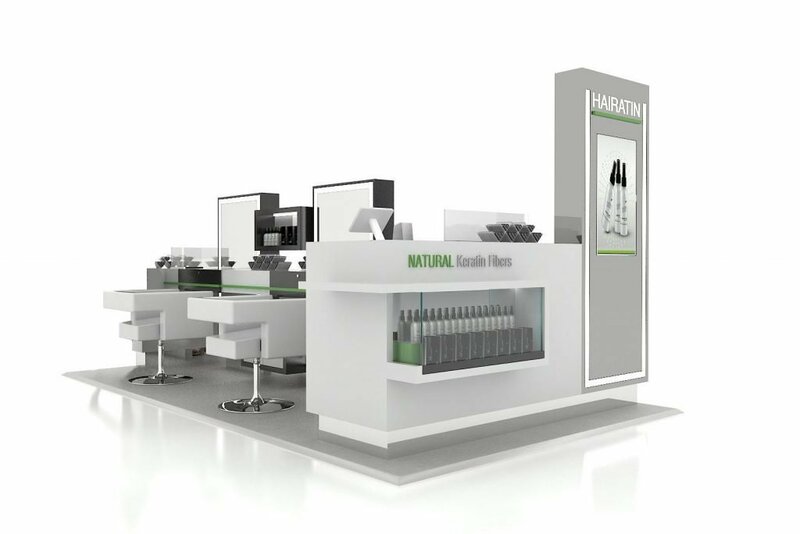 What’s the main difference is that a hair build kiosk is mainly to tell the users how to use the products. and then do the hair fibers retail. Let’s see the design of this hair building kiosk. The front part of the kiosk is built a high pylon where an adverting TV is adapted inside. By using this adverting more paly, you can display your products more effectively. 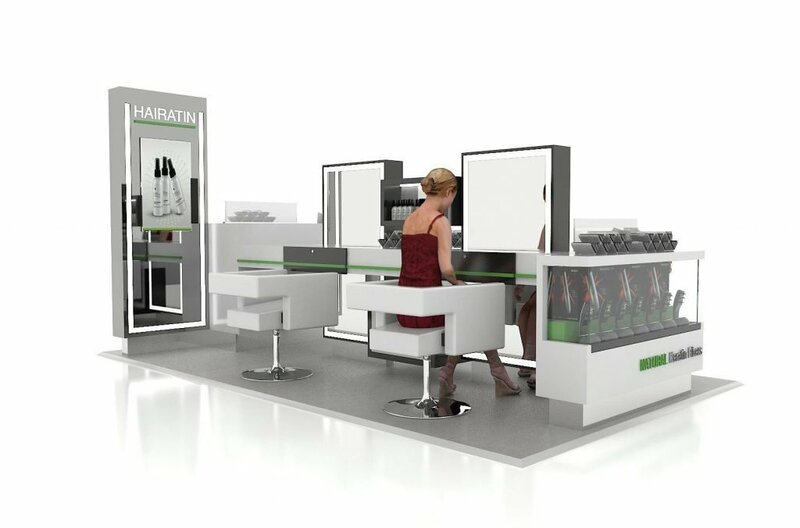 Near the pylon is a display showcase for products retail. With a unique design of the showcase in a floating style, People are easy attracted by the fixtures. The back part of the kiosk is designed with 4 work stations. Customer and experience the paid service. Due to the kiosk are designed for fast service. The back part is fully open for easy access. There are 4 big led lighted mirrors that on the work station. So the customer can easily see the results. The main color of the logo using lime green to give an expression of a natural and healthy theme. 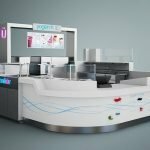 Unique Kiosk is a leading mall used kiosk manufacturer, No matter you are looking for a hairdressing kiosk or hair build kiosk. We have varies of concepts for you. If you do not find the right answers, Our design team can design you a unique design exact following the ideas in your mind. 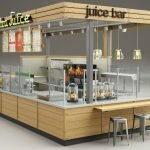 When you ready to start a mall kiosk salon business or retail business. Remember to visit our site first.